If you’ve never tried yoga before, some of the complex poses may look more daunting than encouraging. This kind of attitude is not an uncommon one, and it’s important to remember that some people who seem to effortlessly shift into those poses may have been practicing yoga for decades. Keep reading to learn a few poses you can try today, as well as tips to help you enjoy yoga without feeling overwhelmed. Sukhasana pose is an excellent starting point, because although it offers many advantages, a great deal of flexibility is not required to do the pose properly. Begin by sitting cross-legged on a yoga mat. Then, turn your palms up toward the ceiling and rest your forearms gently on each knee. Make sure to keep your spine as straight as possible. >>CLICK HERE for your free report: 5 Yoga Poses to Make You Feel Fantastic in 15 Minutes! This pose lets you target any sources of tension in your hips and knees without putting unnecessary strain on joints. A yoga coach for notable sports teams like the New York Giants says the pose is a good assessment tool. 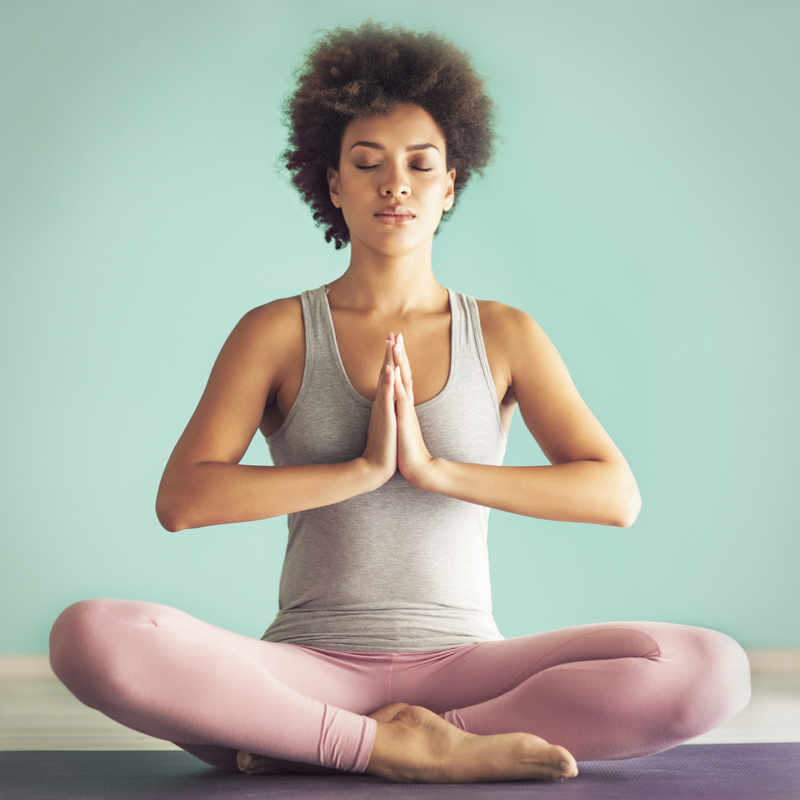 In recent years, yoga classes have become more readily available around the world, and some addiction treatment programs have incorporated yoga poses into daily activities, recognizing how they can be a wonderful way to relieve stress. Tadasana works well for people who are practicing yoga in a group to help them realize it’s time to regain focus. Try it by standing with both feet hip width apart and keeping your back straight. Slowly shift your weight onto your toes while turning your heels outward slightly. As you breathe deeply, imagine your body being pulled up from the neck to lengthen your spine. Finally, focus on a spot in front of you and strive to remain relaxed as you rekindle a focused mindset. This pose encourages the alignment of the hips and pelvis. While performing it, you’ll be down on all fours and learning to match your breathing with gentle movements. It’s sometimes called the “cat pose,” because it emulates the way felines stretch their back muscles. The pose can also be adapted for people who are unable to get on the floor because of stiff joints or mobility impairment. Start on your hands and knees in a position where your hands and shoulders align with each other, as do your knees and hips. Let your back assume a horizontal, flat and neutral position. Next, press your hands downward to lift the shoulders up as you inhale, and return to the neutral position with each exhaling breath. This pose and the subsequent movement is a wonderful stress reliever and helps loosen your back and spine muscles. It could help you feel more centered after a long day at the office. Don’t become too intimidated if you’re taking a class and everyone around you is much more flexible. Training your body to assume poses takes time, and it’s usually preferable to focus on doing each movement as correctly as you can rather than trying to force your body into positions that are still unfamiliar. During the first few attempts at doing yoga, focus your breathing and aim to keep your body safe. Before long, you may notice your flexibility is increasing without any conscious effort. Listen to your body as well. If something seems outside of what you’re currently capable of doing, speak up and ask the instructor if there are ways to modify the pose. If not, try to be content with simply sitting out and watching others, knowing eventually you can look forward to joining them. Finally, remember how breathing is the precursor to all yoga poses. That’s why it’s a good idea to continuously monitor your breathing and realize it may be necessary to try a wide variety of yoga poses to more readily fit your mental and emotional state. As you become more conscious of breathing patterns, you also may feel increasingly aware of how over time, yoga can make it possible to achieve higher levels of clarity. Yoga may initially seem intimidating. Work with the poses above, coupled with the helpful tips, and venture eagerly into the unknown, leaving fear and uncertainty behind.